The pristine beach at Royal Davui. A table for two at Jean-Michel Cousteau Resort. 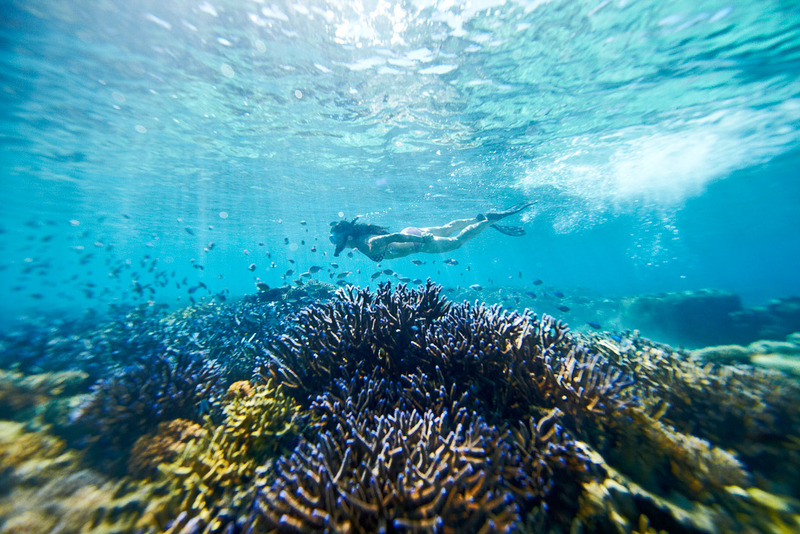 Snorkelling at Mantaray Island Resort. 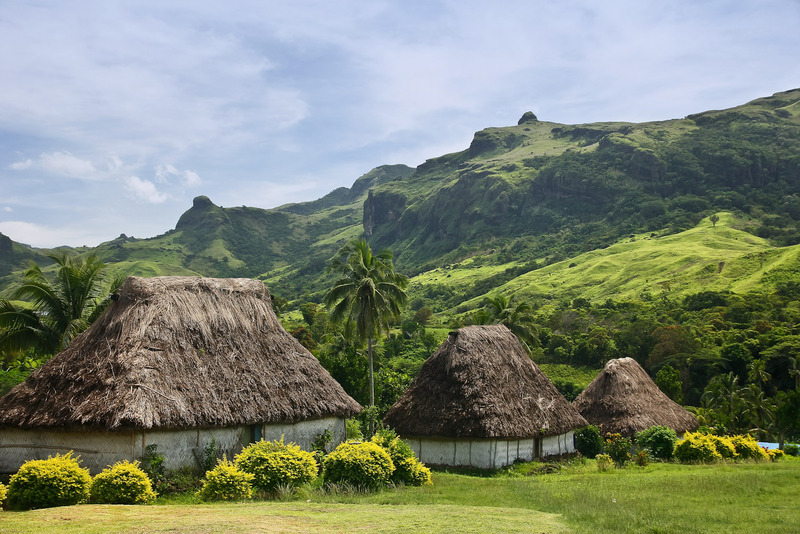 Traditional houses on Viti Levu, Fiji. Some of the best diving in the world is to be had here. Fiji is also about doing nothing at all. 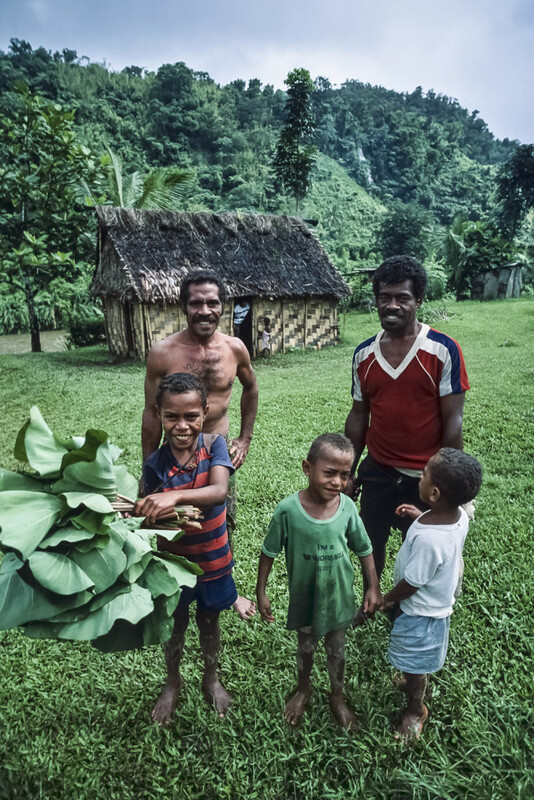 Villagers on beautiful Viti Levu. 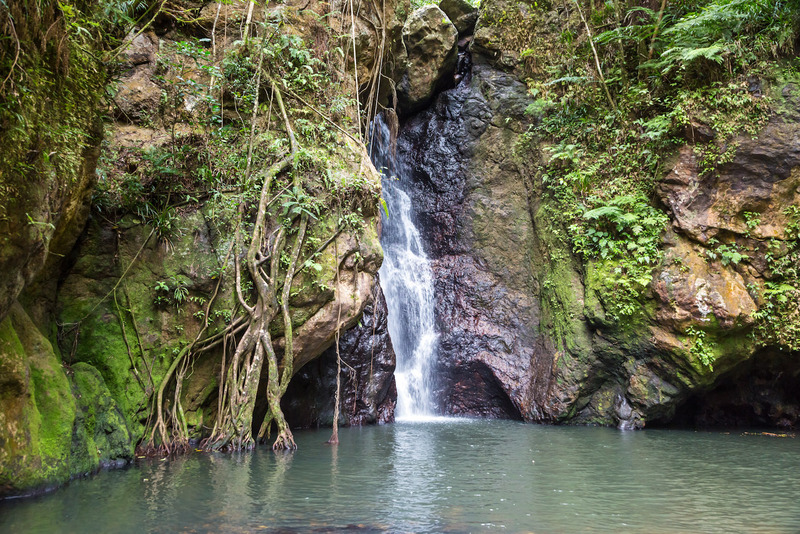 Hire bikes and head inland for secluded waterfalls. Sunset at the luxury retreat of Vomo Island. 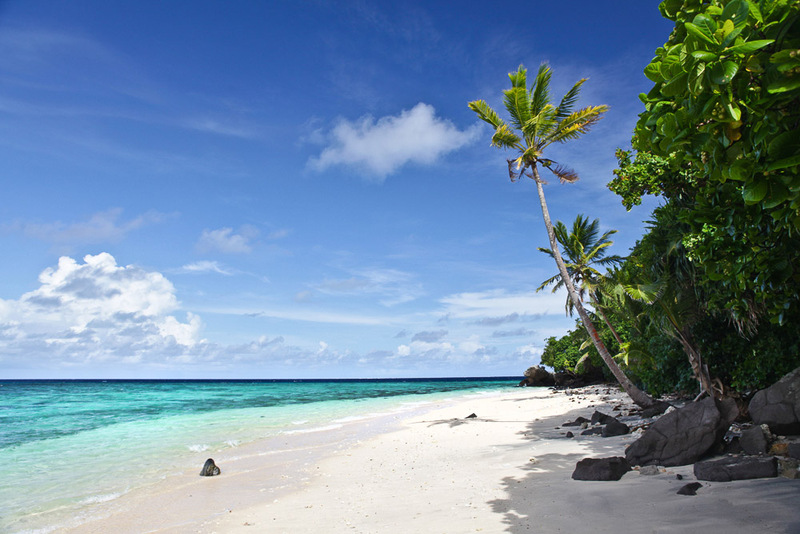 Whether you’re after private island picnics and sweeping helicopter tours, or palm-fringed cottages with roadside grills, Fiji’s islands can provide the perfect holiday experience – regardless of what you want to spend, finds Dilvin Yasa. 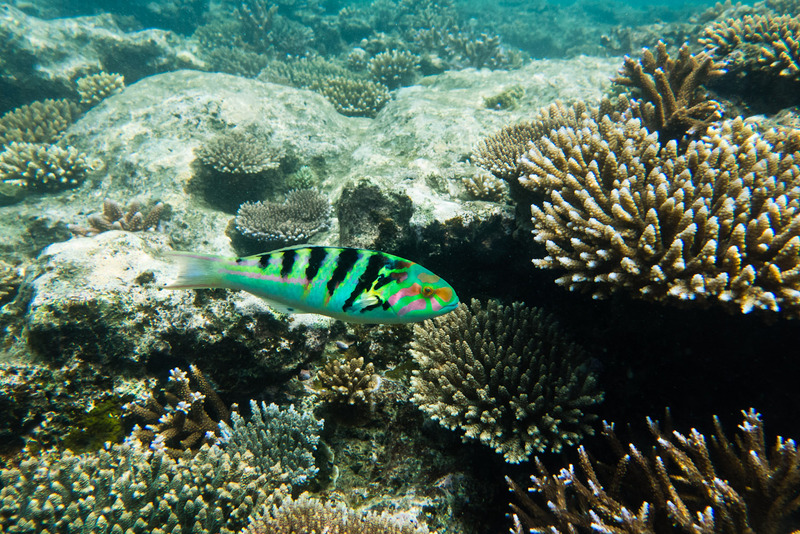 A dmittedly, it’s unusual for a travel feature to kick off with a paragraph of figures, but then a visit to Fiji is very much a numbers game. Firstly, it’s located less than four hours from the east coast of Australia, making it very popular with families tired of travelling long distances to get anywhere. And secondly, Fiji is made up of more than 300 islands surrounded by azure atolls and vibrant coral reefs, meaning there is a multitude of resorts, private island retreats and bures at every price range to choose from. Not sure where to start? Check your bank balance, put your feet up, and let us take you through the best there is at every price point. Entertaining Champagne fantasies on a (domestic) beer budget? You’ve come to the right place, because a large section of Fiji’s best eateries, activities and palm-fringed cottages fall right into the ‘Is that all?’ category. 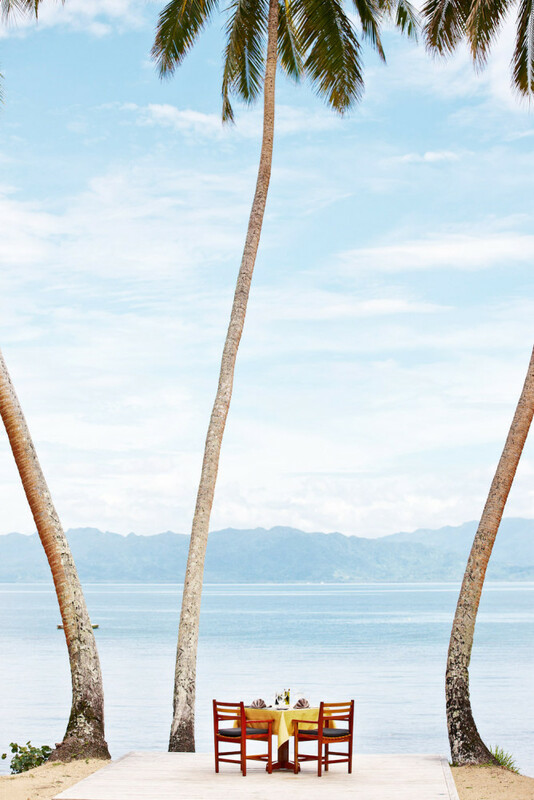 Those in the know head straight to Crusoe’s Retreat, a laid-back resort on the main island of Viti Levu, set directly on the beach among four hectares of tropical gardens and located right next to a traditional Fijian village. Traditional Seaview Bures are less than $100 a night and activities such as snorkelling, kayaking and even scuba lessons in the resort’s pool are complimentary. If you’re looking for something a little more remote, Mantaray Island is one of the rock stars of the remote Yasawa Islands (known for their idyllic beaches, marine reserves and holidaying celebrities) and offers a wide range of secluded bures, rooms with shared facilities and dorms, all priced between $25 and $300 a night. You’ll need to take the three-hour ferry from Viti Levu’s Port Denarau, but once there all you’ll need is $57 a day for the compulsory meal package that covers all your meals, and the one-time hire fee to enjoy the marine reserve directly in front of the resort via snorkel, kayak, cruising and stand-up paddle boarding. Port Denarau’s Bulaccino Cafe serves up what could arguably be Viti Levu’s best coffee and lunches for next to nix (the sausage rolls are pretty amazing too). If you can, try to stop at a ‘Fijian Drive Thru’ (essentially a roadside barbecue), and grab some hot corn on the go. For something different, hire a bike through Stinger Bicycles and take the scenic 20-kilometre ride from the top of the hills (they’ll arrange transport to get you there) back down to the beach. Bike rental will set you back $18 a day. Go up a pay cheque (or cash in that well-deserved Christmas bonus) and you could be treating yourself to a stay at the sprawling InterContinental Fiji Golf Resort and Spa, located on stunning Natadola Bay, Viti Levu. Although it’s home to five restaurants and bars, an 18-hole golf course, three pools, day spa and an extensive list of water activities, families in particular will fall in love with the generous room configurations – the balconies (complete with baths and day beds) are large enough that parents can share the suite with their kids and yet still have their ‘after hours’ space. Rooms start from $340 a night. And while perhaps not quite as chic as the InterCon, the pristine, four-star Castaway Island, located in the Mamanuca Islands some 45 minutes by boat from Port Denarau, is still a firm family favourite, as generation after generation of Australians go back with their kids and grandkids. Paradise for those with young children in particular (hello kids’ club, nannies and kids’ menus! ), approximately $500 a night buys you four restaurants, a load of free activities and excursions, and a lifetime of questions about ‘Wilson’, the volleyball from the Tom Hanks movie Castaway. Indigo Indian and Asian Restaurant has long been a favourite with those who value both the restaurant’s eclectic menu and its waterfront location at Port Denarau. Try their signature mud crab or Singapore curries. Families will enjoy Big Bula Inflatable Water Park, a wonderland of large, inflatable rides from giant waterslides to wave surfing for little ones (entry is $38 for adults and $31 for children), while gourmands can take masterclasses at Flying Fish Restaurant at the Sheraton for $50. 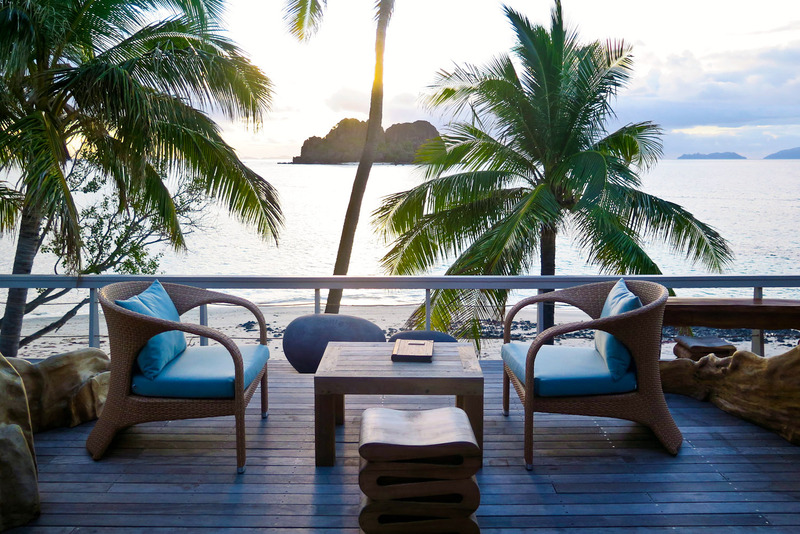 Money may not buy you happiness, but by God it can buy you some serious time in Fiji’s most luxurious resorts, such as Vomo Resort & Spa, a private island resort located only 30 kilometres north-west of Nadi (around 15 minutes by helicopter transfer). Vomo is all-inclusive and its 28 villas (including two larger residences complete with 24-hour butler service) are equipped with jacuzzis, private decks and laundry fairies who come in and out, leaving you beautifully pressed clothes every afternoon. Add to that an activity sheet full of top-tier options such as chartering a transfer to Vomo Lailai, a deserted island located just 500 metres away where you can enjoy a romantic picnic hamper for two away from the prying eyes of other guests, and you’ll swear – in the words of the irrepressible Belinda Carlisle – heaven is indeed a place on Earth. Rates for beachfront villas start from $1761 a night and include all activities, meals, non-alcoholic beverages, and yes, even the laundry fairies. While Vomo, with its kids’ club and activities, is child-friendly, taking things to an entirely different level is Jean-Michel Cousteau, an eco-friendly resort located on Vanua Levu, Fiji’s second largest island, where each child under five is equipped with their own personal nanny throughout your stay. As a result of damage from Cyclone Winston, the resort is currently closed, but due to reopen in September. But if you can’t wait that long, check into Royal Davui, an exclusive adults-only sanctuary where giving yourself over to an existence based purely on pleasure is not only expected, but celebrated. Rates start from $1500 a night and include your heated villa with plunge pool, all meals, twice-daily maid service and activities. Book in for dinner at InterContinental’s high-end Navo and be treated to some of the island’s freshest seafood in a setting to remember, while over in Port Denarau, Peter Kuruvita’s Flying Fish at the Sheraton has been wowing guests since it opened its doors in 2008. Diving with sharks is a ‘thing’ and if it’s your kind of thing, consider a two-tank shark dive trip with Bega Adventure Divers. It will set you back $205, but will ‘hopefully’ involve a lot of sharks. For those not so keen on getting up close and personal with sharks, a one-hour scenic helicopter flight with Heli-Tours Fiji will sweep over the islands up into the southern region of the Yasawas and take in the dramatic gorges and cascades of the Evans Range. The one-hour tour is $725 per person, although short 10-minute tours start from $130.